This year’s presidential campaign presents a unique opportunity for inner growth. Unfortunately most of us miss the opportunity because our attention is focused on the outside: What someone else is doing wrong, who is to blame, and why everyone else is wrong. The division between our national issues and interests (healthcare, foreign policy, trade, border control and economics) is simply a mirror of the opposing forces within—our misalignment of who we say we are versus the reality of how we are showing up. Is there really a quest for unity in America? As above so below; as within, so without. Finger-pointing, mud-slinging and interpreting malice in the other while in the same breath proclaiming God Bless America seems more than ironic. We talk about the quest for unity, but in the same breath belittle “those” who see things differently. We talk about values, character, and faith, but our actions on social media reflect the opposite: Angry outbursts violent language, name-calling. We say we believe in personal responsibility and we want others to be responsible. Yet in the same breath we blame politicians and each other for the mess we’re in. The real work of responsibly belongs to each person. We have to take the attention off of what everyone else is doing and look at what we are doing. We have to stop looking for the incongruities in others so we can see our own. 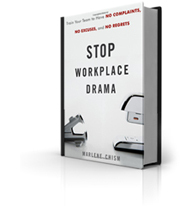 We have to stop making up stories about other people’s intentions and examine our own intentions. It is only when we have unity within we can create unity without. 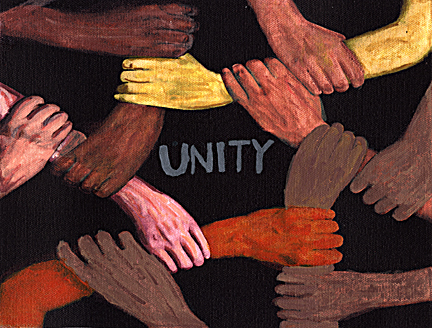 Unity is not about pie in the sky, kum-ba-ya, or sticking your head in the sand about the real issues facing our nation. Unity is about alignment. Alignment on an individual level and on the national stage comes when opposing forces begin to reorganize, work together and move in a direction of higher purpose. Alignment starts with self-awareness and ends with personal responsibility. 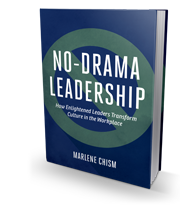 Marlene Chism is a consultant, international speaker and the author of “Stop Workplace Drama” (Wiley 2011) and “No-Drama Leadership” (Bibliomotion 2015). Visit her at MarleneChism.com and connect via LinkedIn, Facebook and Twitter. This is so very true and honest. It is interesting that this very morning as I was coming to work I had this same realization about myself (the log in my eye vs. the speck in my brother’s or sister’s). I appreciate your words and this confirmation of what I know I myself need to look at honestly and take responsibility for. Thank you for your wise words.